I Love having my kids home for the summer. I DO NOT love dealing with bored kids during the summer. Hence the search for some simple AND frugal activities! I’ve had so much fun doing this post! So many bloggers with such great ideas! These awesome moms are trying to entertain their kids just like the rest of us! 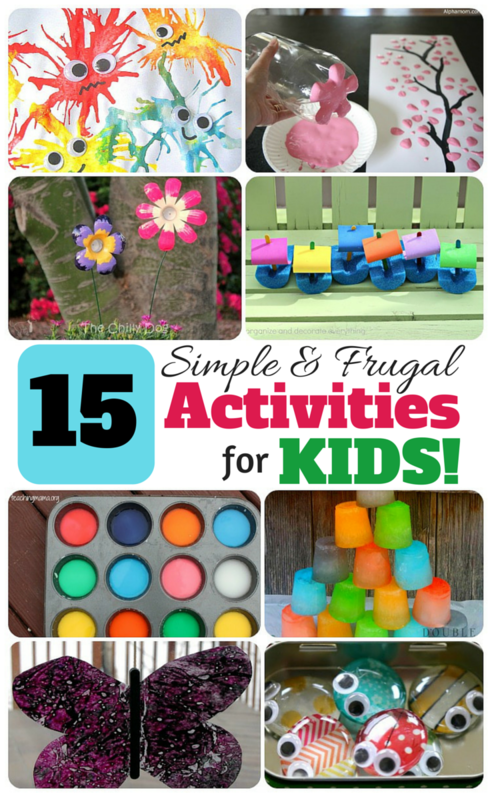 I hope you enjoy all of these fun & frugal activities for kids. Hopefully they will save you some TIME and MONEY when it comes to entertaining the minions at your house! Click on the pictures to take you to the original site for directions! Let’s start with my favorite first! These homemade “Buggles” are absolutely adoreable from Pebbles and Piggytails!